Dog lovers rejoice! 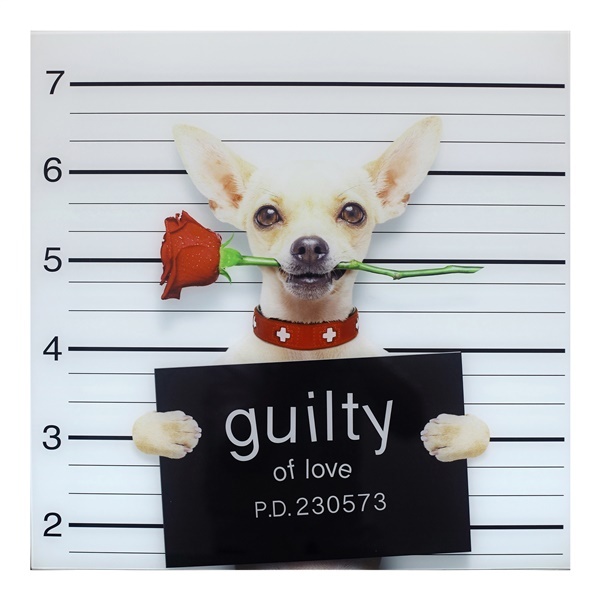 The Guilty Chihuahua Wall Décor depicts an adorable, mischievous Chihuahua who is only guilty of love. The one-of-a-kind wall décor offers a great selection in any living space and consists of ink on paper for supreme quality. Plus, the wall décor is under tempered glass, ensuring the piece will continue to impress for years to come. Select a distinct piece of art that is sure to make guests laugh and smile thanks to the Guilty Chihuahua Wall Décor.